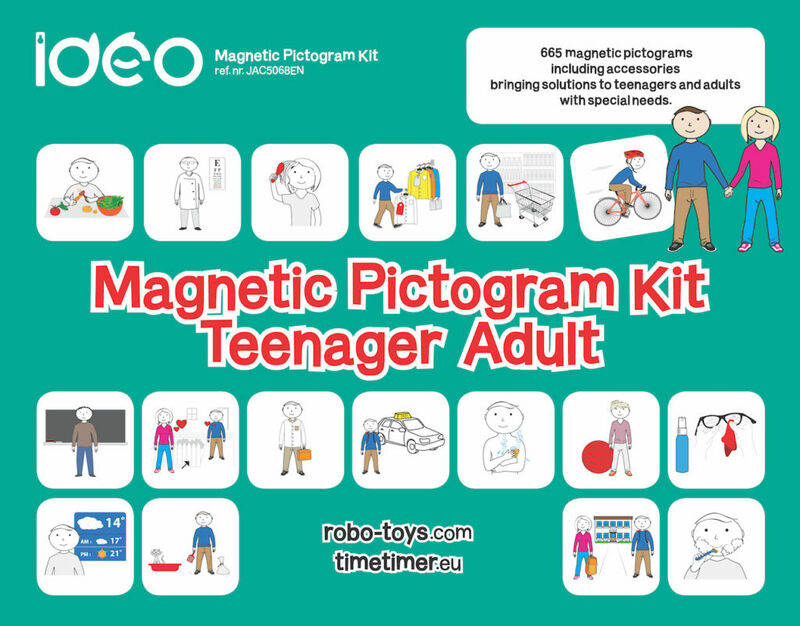 MAGNETIC PICTOGRAM KIT TEENAGER ADULT – NEW!! MAGNETIC PICTOGRAM KIT TEENAGER ADULT -NEW!! The IDEOmodule TEEN • ADULT is a magnetic communication tool dedicated to bring solutions to teenagers and adults with special needs. You can create a large amount of sequences and social scenarios. This portable concept is ideal for home or outings. Perfect for teenagers and adults, especially those with A.S.D. (Autism Spectrum Disorder), intellectual disability, or other communication or social difficulties. 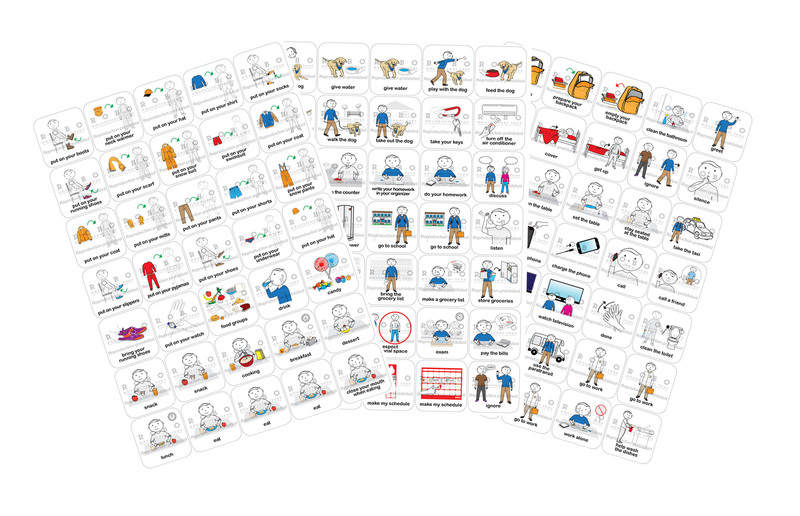 This set includes 665 magnetic pictograms, 1 double-sided magnetic door hanger and 1 portable kit. One IDEOstatik is also included. This reusable and repositionable electrostic layer adheres to any smooth surface. You can easily create a pictogram sequence, schedule or routine. Its smooth writeable surface allows use of a dry erase marker. Ref.nr. JAC5068 – Magnetic Pictogram Kit – Teenager Adult available in Dutch, English and German language. NOW available.